Sanity at Home or is it therapy? This is my studio, which is officially called the Journey and lovingly called the She-Shed, by my friend Caridad, my favorite Auntie calls it the Doll House, but I call it the Shed. Everyone that comes into the Shed says that name does not represent my space, but when I designed and had this place of yumminess built, by Osbourne Spence of Spence Maintenance, from the ground up, it was called a craft shed, so Shed is still on my brain, although I am beginning to say Studio quite a bit more. There may be hope for me after all. My wonderful handyman and electrician extraordinaire, Humphrey (Wilfred Robinson) did my electrical work and lighting. The electrical work is amazing, I have plugs in concrete floors! Cool...right? By the way, the crew from Spence Maintenance is one of the most professional, organized group of guys I have ever seen. All the horror stories of contractors never met this crew. They would show up about 8:30am and have breakfast, laughing a lot together. 9am, they were working until lunch and back at it an hour later until 5-6pm every week day until the Shed was up. Although the Shed was finished in June of 2015, I still take a deep breath when I come in every morning...its still a God-filled moment for me....everyday! Thank you God for my amazing space! 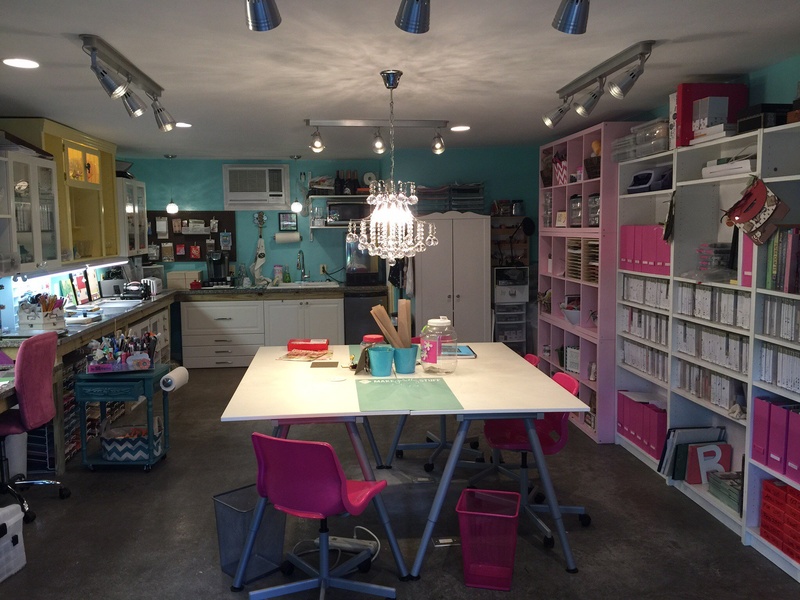 This amazing space is where all the magic happens. I am here everyday I am able to be here, and I create every opportunity I am able to create. This is truly my happy place. When you suffer from an autoimmune disease, mine happens to be Sarcoidosis, everyday is not always a good day. So I have created, with the help of an amazing Husband, loving brother, a wonderful Mom & Dad and a select few of my awesome famfriends, a happy place built with love. Please join me on my art journey.... my wish for you is that my art journey inspires your creativity to blossom. I love comments, questions or anything that shares in our creative spirit. You can contact the Therapist using the form on the "Contact the Therapist" page. Can't wait to see what you create. Use #LABArtJourney in social media so that I can follow your creations as well.